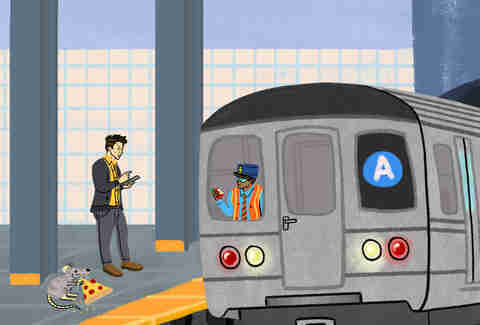 Swiping your MetroCard can feel like throwing down a $2.75 bet on a craps table in Vegas. Will your train arrive on time? Will it arrive at all? If there’s room for you to squeeze in, will the train get stuck in so-called “traffic” for 20 minutes? Frustrations with the MTA are many, and it’s easy to forget about the actual humans running the system and keeping New York moving 24/7 (even if it’s sometimes at a painfully glacial pace). On the rare occasions you do interact with MTA workers, it’s probably to complain. But these New Yorkers -- who spend their days underground with the showtime performers and belligerent commuters -- are some of the most essential in the city. Without a conductor and train operator (that’s the driver) on 36 train lines, 24 hours a day, New York would pretty much cease to function. But perhaps New Yorkers can be excused for their patience running thin. After all, they’ve just emerged, sweating and infuriated, from the “Summer of Hell.” Train delays have nearly doubled in the past generation, while performance has been in steady decline for years -- strangely in tandem with cuts to maintenance funding. And there’s seemingly no light at the end of the (rat-ridden) tunnel. Reports suggest that the subway may cease its round-the-clock service, and that upcoming repairs will shut down the L train between Williamsburg and the East Village for a solid 15 months. An MTA policy pretty much forbids transit workers from talking to the press, and the MTA declined to participate with this story. But we were able to track down recently retired MTA employees and some anonymous current workers to get a glimpse into what it’s like to work on the transit system with the most stations of any in the world. “I loved being a subway conductor and moving 5 million people a day,” Tom Scarda, a retired MTA worker, says. “It’s being in the belly of the beast of New York.” Scarda worked as a subway conductor on the B, D, and N trains to and from Coney Island from 1987 to 2000. Unlike the dozens of MTA employees who politely said “no, thanks,” when I asked if they wanted to talk about their jobs, Scarda wasn’t afraid to chat about the facts. And they’re dirty. Commuting on the daily, New Yorkers fail to realize (or just block out) exactly how filthy the subway is. “When you get home at night, you blow out steel dust from your nose, it’s really weird and unhealthy,” Scarda said. This fine soot, created by train wheels running against the railing, is likely on all commuters, but accumulates once you spend hours underground. One major perk of working in the subway system: It’s against New York State Law to not allow state workers into their workplace, meaning MTA employees are granted free commutes on the LIRR and Metro-North, as well as trains or buses. Lloyd, a soon-to-retire subway worker, chose the job because it was solid, had benefits and was a government position that didn’t require running into a burning building or getting shot at. Or so he thought -- he was once shot with a BB gun. But in any altercation, Lloyd would choose a “kill ‘em with kindness” response to prevent fights. “You have to keep a smile on your face, even when people are being rude,” he said. While some MTA workers grew up riding the rails, watching older relatives run the trains or just envisioning themselves in the conductor’s car, most chose the job for the same reason most of us are employed: cash. For bagging the most overtime, Lloyd recommends the 2 line, which is a longer route than most. Plus, “the switches are poorly laid out, which backs everything up,” he said. The F and the A are also known for being high-rollers. 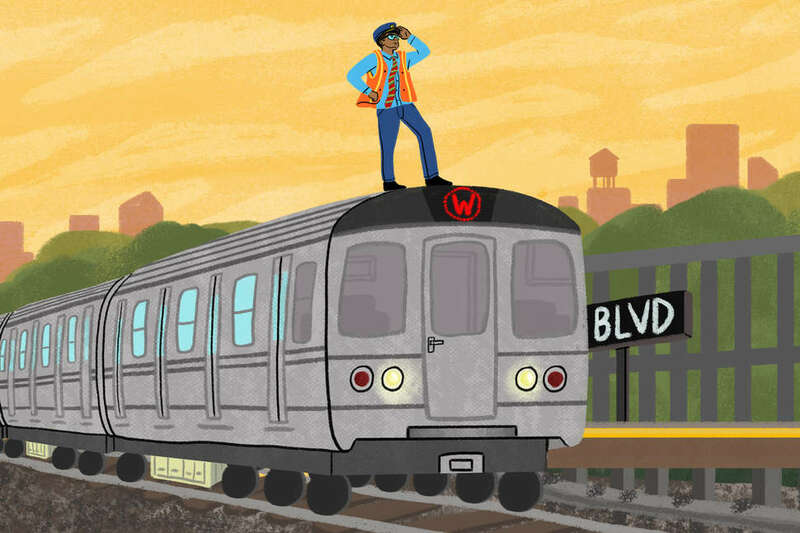 Every MTA worker has their own favorite line, and they’re not always motivated by money. Scarda felt depressed not seeing sunlight on the R train, though Lloyd prefers a mostly underground train in case of bad weather. Operating trains used to be a promotion from working as a conductor or bus driver, but now you can be hired directly as a train operator. And to be a train operator, you need to be in good health. There’s a mandatory medical exam before MTA workers are put in control of a vehicle. If someone gets injured on transit, MTA workers are drug-tested, even if they are faultless in the incident. And sending an email when you’re not feeling work doesn’t cut it. MTA workers pretty much always need an approved doctor’s note when calling in sick, a current employee told me. Much smaller than a WeWork cubicle, the conductor car is a unique “office” for the New Yorkers working in the subway system. 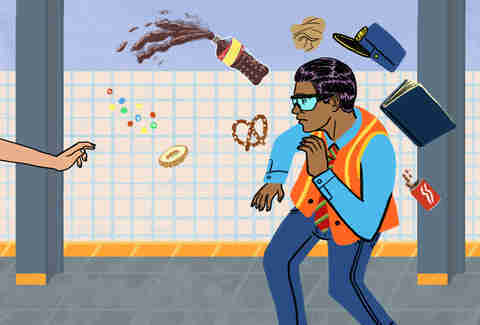 It’s common for workers to head into each subway run with a backpack full of personal items, like candy, fruit, gum or a thermos with hot coffee... plus all the mandatory safety equipment, keys, and a flashlight. Sleeping in the car is obviously not allowed, and napping in any part of MTA property is also forbidden. “The MTA may be lax during a snowstorm, so you can sleep in the locker room if you’re stuck -- it’s all up to the supervision, though,” Lloyd said. In bad weather, many employees will work a double shift to avoid commuting home, and then call in sick the next day. There’s no residency law for working on the subway, and the salaries can make it tough for some to afford New York City living. Groups carpool from the Poconos and far out on Long Island for shifts that start before sunrise. Off-hour schedules allow MTA workers to commute further distances and avoid traffic. Just as everyone rides the subway, the workforce is also weird and varied. This machine runs on humans, after all. Melissa is a writer and MTA passenger based in NYC. Follow her on Twitter and Instagram.